One of my all time favorite snacks growing up was the empanada. We didn’t have them all the time but whenever there was some sort of celebration, there were empanadas on hand. Well, if you were lucky enough to get there when they were served because they were snapped up quickly! And if you missed it, oh well, until next time. This is one of those go-to snacks for most Caribbean families although it isn’t traditionally a spicy dish in the Spanish Caribbean. Empanadas are typically a savory appetizer and if you go to any Latino festival there are usually several food vendors selling empanadas. Also, every Island or Latin American country makes them a little different and if you come to my house, you’ll definitely get it a little spiced up. Saute onions in 2 tbsp of oil on medium heat until translucent. Add the ground beef and cook all the way through making sure you break up the meat so there are no large bits of meat. While cooking add the rest of the ingredients and stir until well blended. Make sure the beef doesn’t dry out, if it does, add a bit of water to keep moist. You don’t want the filling to be too greasy or runny since it will seep out of the dough. If too greasy, drain off some of the oil. Lay out disks of dough, fill on one side and be generous, no one wants a thin empanada! Fold the dough over to cover meat to form a half moon shape. Seal the edges with a fork to ensure empanadas don’t open while cooking. Heat up 1 cup of oil or enough to coat your entire pan so that it’s about 1/2 inch high. 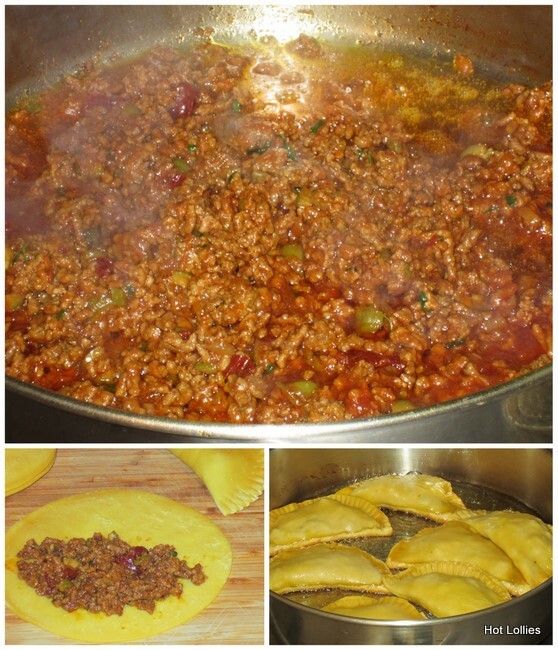 Fry each empanada for about a minute or two on each side until light brown in color and remove from pan. Keep an eye on it, you don’t want to overcook it. Meat is already cooked so all you’ll want to do is make sure dough cooks through. Place each empanada on paper towels to soak up any surface oils. 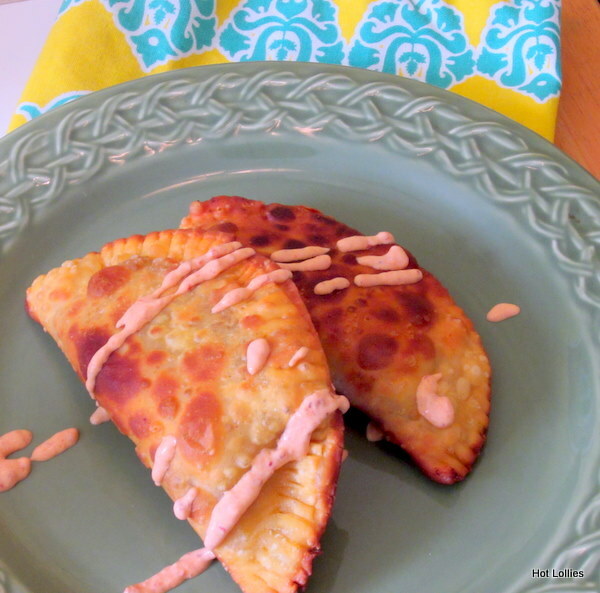 You can eat these as is or serve with a spicy chipotle cream sauce for dipping. Enjoy! Mix all ingredients in blender or use a hand blender until smooth and drizzle over empanadas or serve in small cup as dipping sauce.